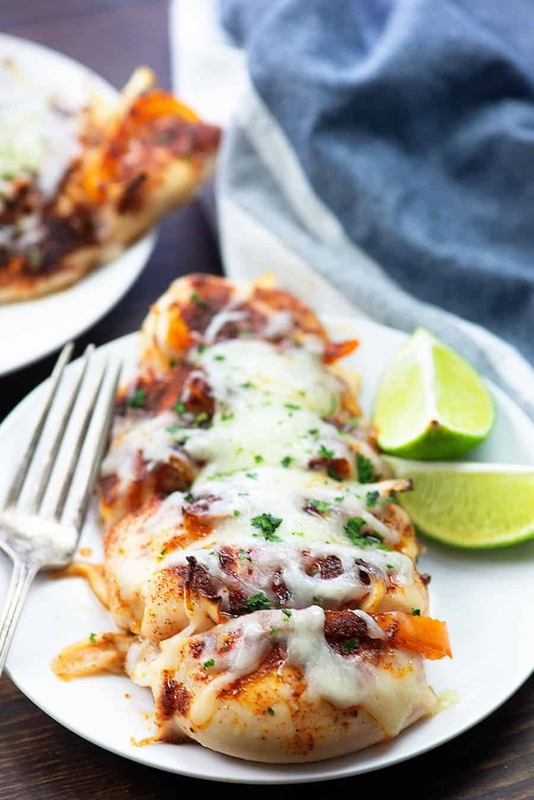 Hasselback chicken fajitas are the low carb way to enjoy the flavors of Mexico! 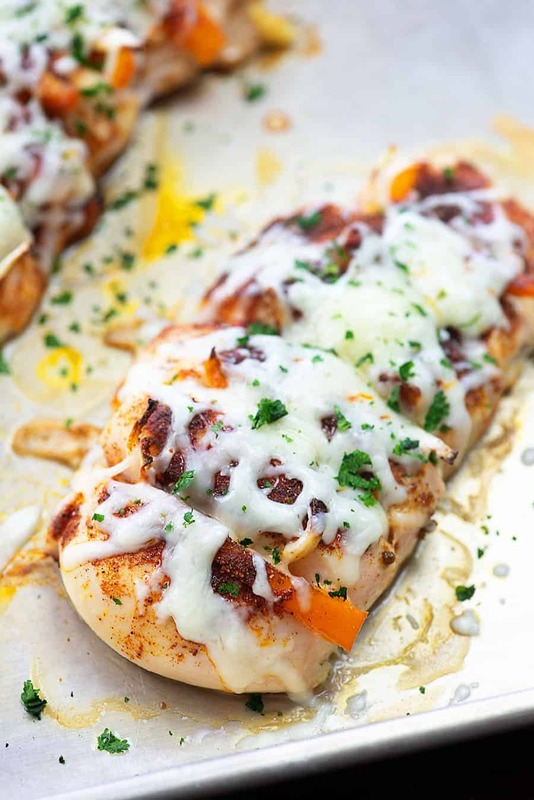 This simple low carb chicken recipe is seasoned with fajita seasoning and stuffed with peppers and onions. My favorite place to eat out is the local Mexican joint. Or, really, ANY Mexican joint. I’m not picky. Just give me loads of queso and a pile of fajitas and I am good to go. I eat my fajitas with a fork and top them with queso, guacamole, sour cream, and pico de gallo. It’s always delicious and you totally don’t miss the tortillas. I mean really, is there anything more tasty than spicy Mexican food? 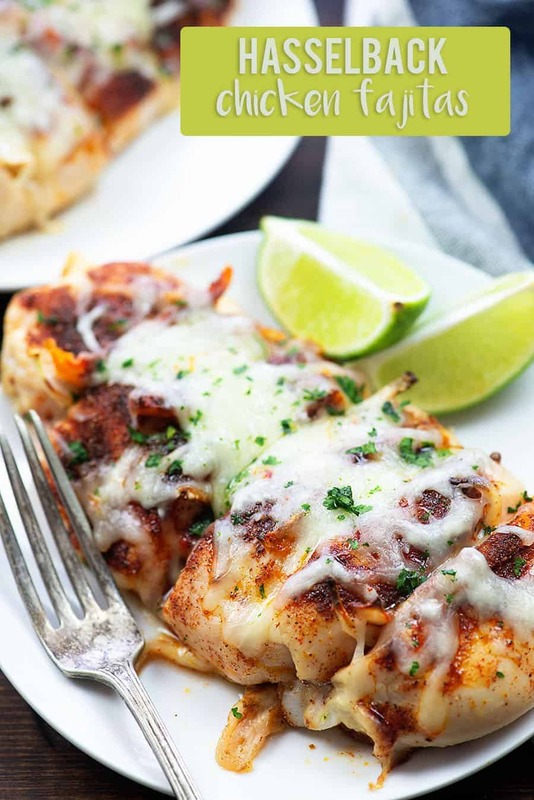 Mexican food is actually pretty simple to turn low carb and that’s what I’ve done with this hasselback chicken recipe. Hasselback is a technique usually done on potatoes. Today, we’re making hasselback chicken instead. You’ll just need a sharp knife and some chicken breasts to get started. Cut slits into the chicken breasts about 1/2 inch apart, being careful not to cut all the way through the chicken. We’re going to fill each of those slits with onions and bell peppers. Be sure to watch the video at the top of this post to see the technique in action! It’s so simple! To start, slice an onion and a bell pepper into thin strips. Grab your chicken breasts and cut slits a 1/2 inch apart in the breast. Don’t cut all the way through the chicken! Drizzle the chicken with a little olive oil and sprinkle on your fajita seasoning. Stuff the onion and pepper strips into each slit in the chicken and then place the chicken on a baking sheet. Bake the chicken at 350 degrees for about 20-25 minutes or until the chicken is just cooked through. 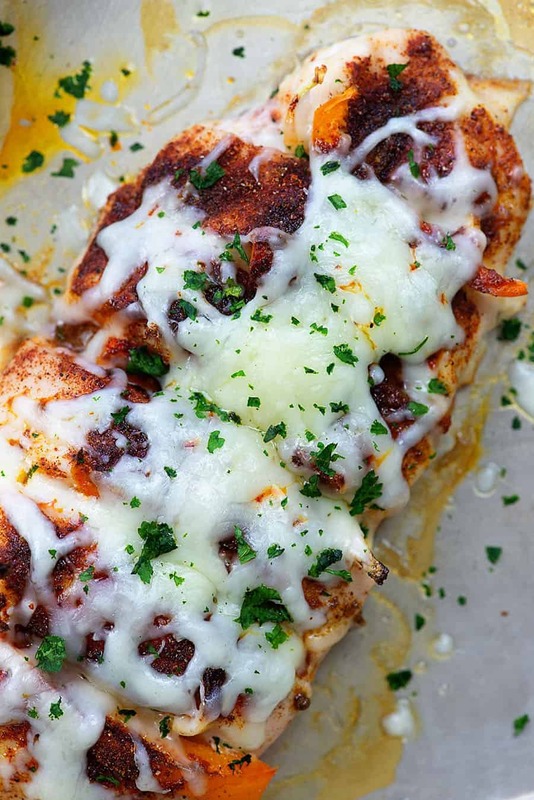 Squeeze a little lime juice over the chicken and sprinkle on some monterey jack cheese. Return to the oven for a couple of minutes to melt the cheese. Sprinkle the top with cilantro and serve! 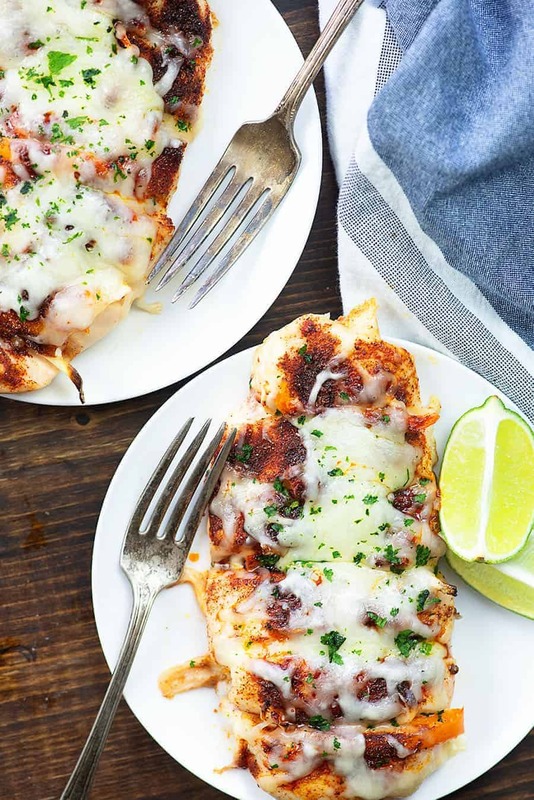 You can serve this low carb chicken recipe with your favorite fajita toppings. We like sour cream and guacamole with ours! This hasselback chicken goes great with my cilantro lime cauliflower rice. Spinach Stuffed Chicken Breast: The most popular recipe on my blog! Teriyaki Chicken Stir Fry: Yep, you can make teriyaki low carb! Cauliflower Chicken Fried Rice: This one makes a quick lunch! Crockpot Chicken Wings: These are perfect for football games. Lemon Chicken: A favorite in our house! Be sure to follow my Facebook page for more low carb and keto friendly recipes! Hasselback chicken is a fun weeknight dinner and this one is filled with bell peppers and onions and seasoned with a simple fajita seasoning. Place the chicken breasts on a cutting board and cut slits into the tops of the breasts, about 1/2 inch apart, being careful not to slice all the way through the chicken. Transfer chicken to the baking sheet and drizzle olive oil over the chicken breasts. Stir together the chili powder, cumin, paprika, garlic powder, and salt. Sprinkle over each side of the chicken. Stuff a strip of onion and pepper inside each slit in the chicken. Bake for 20-25 minutes or until chicken is just cooked through. Squeeze the juice of the lime over each chicken breast. 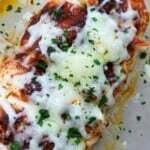 Divide the cheese between each breast and sprinkle over the top. Bake for 2 more minutes to melt the cheese. Top with sour cream, guacamole, or pico de gallo before serving. Hi Karly (and Chad), Loved this recipe! Love the flavor of the peppers but can’t eat them, they do not like me. My husband is a VERY picky eater so I made this for me, daughter and son in law. Husband tried 1 bite and swooned off his chair. Had to give him the extra one that son in law was going to have for next day lunch, oh well, next time. Mexican Corn Salad and a quesadilla. I’m sure we will be having this one many times again. One of the most delicious dishes I have ever made. Definitely 5 stars!